Corporate, Weddings, small or large private parties. We do it all! Here at the Lakes Catering Company we cater for all kinds of events. Big or small, local or a little further out of the Lakes, private or corporate! Most of all we specialise in corporate events and weddings. With a committed, hard working team we are confident we are able to make any event extra special. We have a vast knowledge of other local businesses. Including the beautiful surrounding venues like Silverholme Manor, The Terraces in Windermere, Bristowe Hill in the stunning Keswick also Derwentwater house is one you HAVE to explore!. Simply perfect in every which way and immediately on the front of the stunning Derwentwater harbour. We supply to all of the above venues regularly and spend many a weekend with the guests. We provide such a vast range of menus to keep our customers smiling. There really is something for everybody! 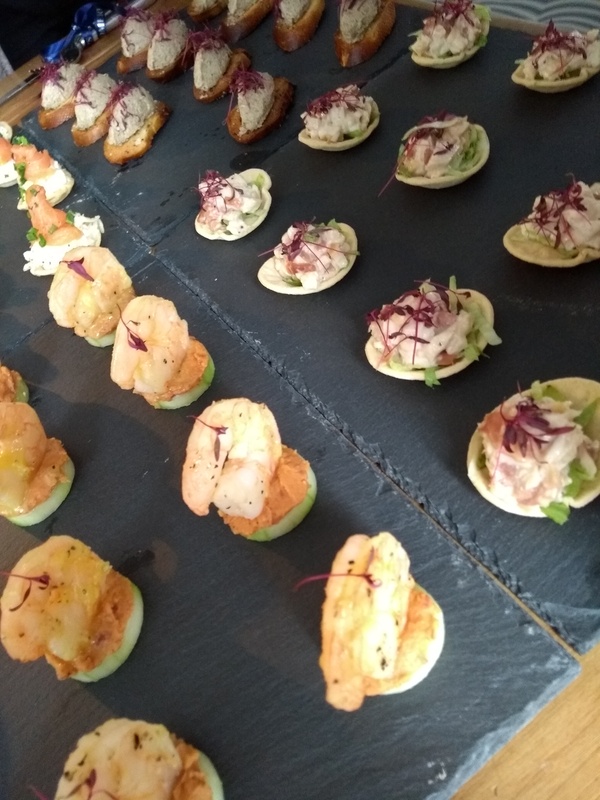 From Gourmet ‘posh nosh’ wedding Breakfasts to sharing platters and buffets all aimed at the wedding market or large private events. A la carte menus are one of our top sellers within the lakes customers market. We often visit Lake Districts houses providing a top notch fine dining experience complete with Chef & waiting on staff. Ideal for large groups who are staying a little ‘out in the sticks’ & would like to enjoy a glass of wine but also not have to worry about driving or walking come from a Restaurant. We do take a lot of booking for this type of event. That said, we like to recommend our customers enquire early to ensure your date is secured with us. Cumbrian Bowls Something new, innovative, and completely unique to us. Very popular for any events which are over the number of 25 people. 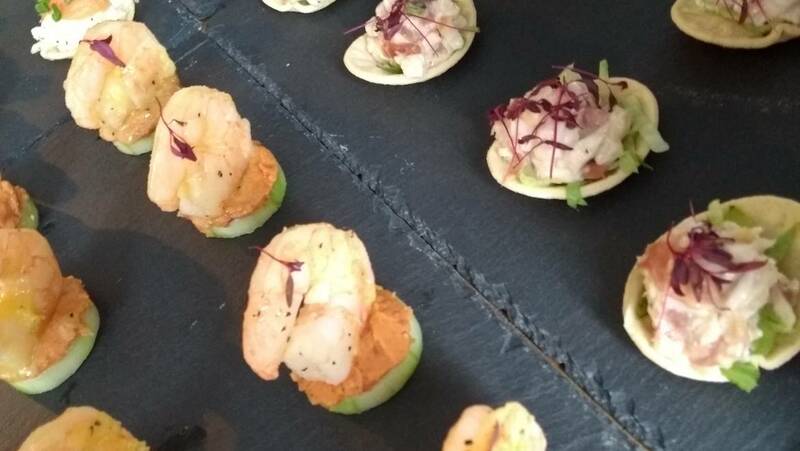 Think of a man sized Canape (manape) new, trendy and look great served up on a large table or served personally by our private event staff who will present to people on trays. Ideal for parties who cater for large numbers with different tastes these are served in well sized Tapas bowls! Party catering at its best. Because we have been around for over 4 years we have taken on some of the best in the business. Especially relevant to the catering business. Due to the nature of the business and the requirements we have been cautious when hiring our Chefs. As a result we are confident we are providing the best to you! While we care significantly about our menus, our staff are just as significant to the business. Since the business began we have upheld our 99.9% success rating and are so very proud of our successes! While we are providing such a well planned out party you are sure to be left to really enjoy your evening or event with your guests. Perfect! Seems like you’re all ready to enquire with us. Rather than wait – send us an email and we will get back to you. While we provide the catering, you can enjoy your holiday. Pellentesque habitant morbi tristique senectus et netus et malesuada fames ac turpis egestas. Ut tristique pretium tellus, sed fermentum est vestibulum id. Loved the service. Your tech support guys know what they do. Thanks a lot 🙂 and we agree! louise on Corporate, Weddings, small or large private parties. We do it all! Philip James on Corporate, Weddings, small or large private parties. We do it all!